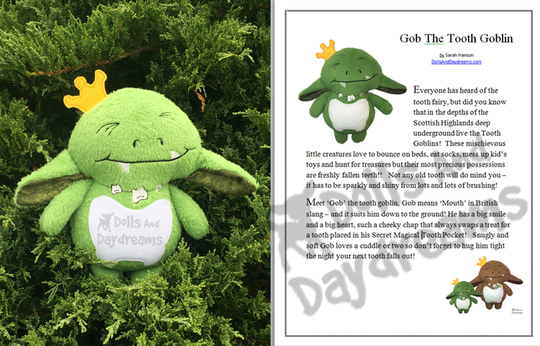 "Meet ‘Gob’ the tooth goblin, he has a big smile and a big heart, such a cheeky chap that always swaps a treat for a tooth placed in his Secret Magical Tooth Pocket! Snugly and soft Gob loves a cuddle or two so don’t forget to hug him tight the night your next tooth falls out! " Only 2 hoopings to make them - all parts attached In The Hoop ... plus these come in 4x4 hoops too!! 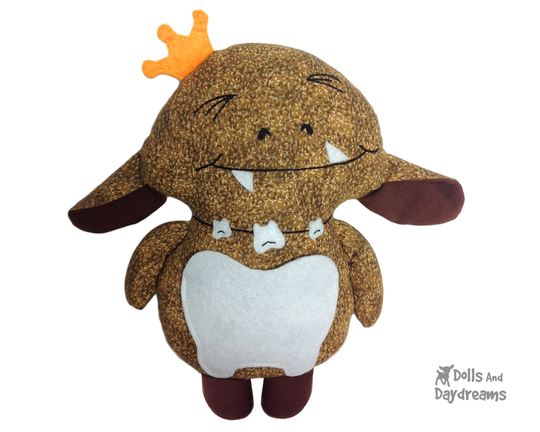 Grab your ITH Tooth Goblin Pattern Today! Beginners will love their simple construction! 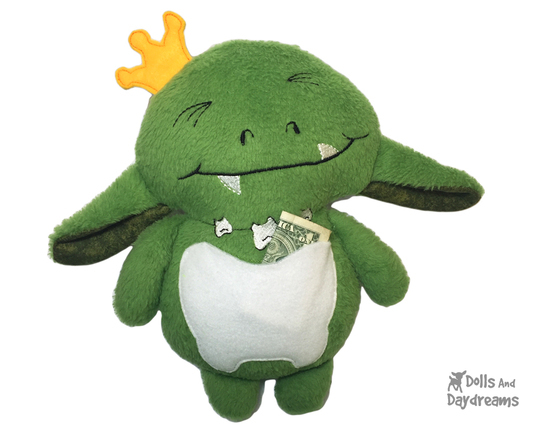 Grab your Tooth Goblin Sewing Pattern Today!